Good grooming is just as important to men as it is to women. Although there are numerous black-owned companies that sell hair and skin products catering to black women, where are the companies owned by black men that sell products that specifically address the special needs of black men? Well, here is one you'll want to know about. Shear & Shine is a black-owned business that sells products for black men. The products are for grooming needs related to beards, skin and Afro Caribbean hair care. The company was founded by Aaron Wallace, a barber and entrepreneur from London, United Kingdom. 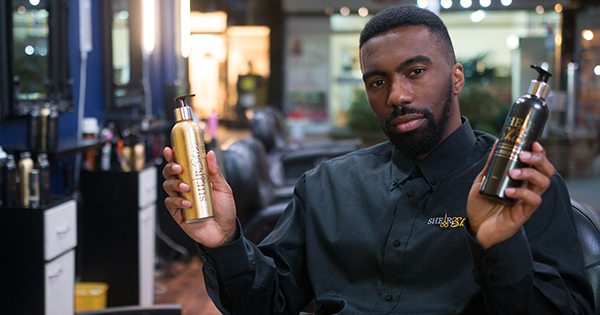 Wallace created the first ever black-owned male grooming brand in the UK to fill a gap in black men's grooming products. His product line includes hair and body products, oils, fragrances, and hair styling products. The company's slogan is "Grooming for the Black Gent," and products are sold online internationally. Founder Wallace even includes on his web site YouTube tutorials that show black men how-to grooming techniques. Wallace's determination to solve a problem -- the lack of grooming products specifically for black men -- lead to launching a successful on-line, international male grooming brand.